In no particular order, here is just a short list of the most influential SEM professionals of 2009. Avinash Kaushik - writer of Web Analytics 2.0: The Art of Online Accountability & Science of Customer Centricity, analytics evangelist for Google. Avinash recently received the 2009 Statistical Advocate of the Year award from the American Statistical Association. If you can't get enough read Avinash's blog Occam's Razor. Danny Sullivan - Editor-In-Chief of Search Engine Land, He oversees the entire Search Engine Land website, directing coverage plus writing articles to boot! Thanks for keeping the Search articles flowing and the dissemination of the knowledge to us Search Marketers. 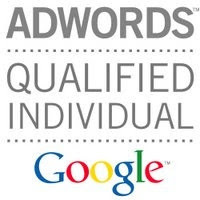 PPC Heroes - Keeping us on the cutting edge of PPC, this blog often has those Wow! moment articles. And heroes, don't forget, "Save the Cheerleader, Save the World!" Pete Cashmore - Tech media wunderkind Pete Cashmore founded the Website Mashable from his home in Scotland when he was just 19 (over achiever!). Now based in Silicon Valley, it's a must-read for the tech cognoscenti, and Cashmore is widely regarded as an expert on how to use, consume and profit from social media. Steve Ballmer - Bing! unveiled by Microsoft CEO Steve Ballmer on May 28, 2009 at the All Things Digital conference in San Diego. Gaining more search volume share and more of our hearts, Bing! is fastly becoming the next best search engine, to Google that is. How did Microsoft do it? Buy the rights to distribute Bing on Yahoo! Search, Easy Peasy Lemon Squeezy!